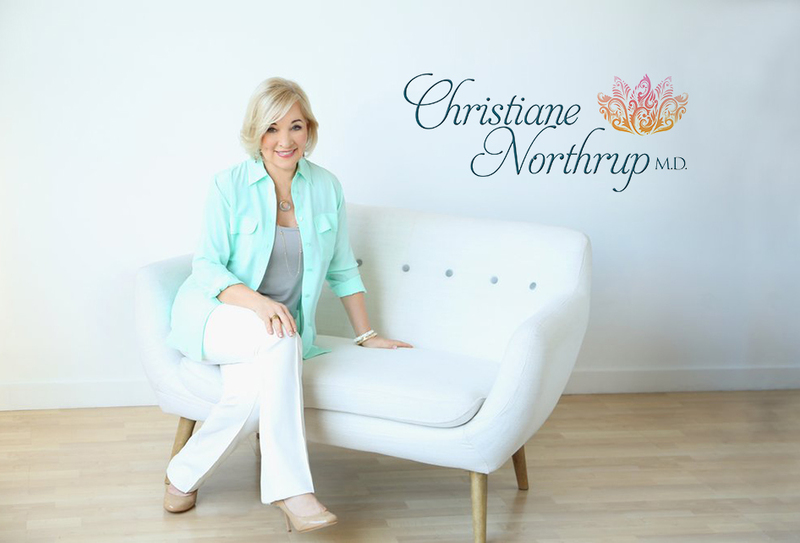 ﻿ Spiritual Support for Your Adrenals | Christiane Northrup, M.D. This summer I’ve been rereading The Healing Secrets of the Ages, by Catherine Ponder, and want to share her insights on adrenal exhaustion. I was drawn to Catherine Ponder’s books as a young doctor, and return to them again and again. Ponder was one of the first to write for the masses about the mind/body/spirit connection, which she began in the 1960s. In The Healing Secrets of the Ages, Ponder connects health conditions to emotional issues and life circumstances. According to Ponder, the adrenal glands are where the Strength center of our body is located. This is where you get the ability to “keep on keeping on” and to endure. You probably know that the adrenals are there to spur you on, to give you energy to tackle stressful situations, both emotional and physical. The adrenals—think adrenaline—are closely connected with the sympathetic nervous system (the gas) as opposed to the parasympathetic nervous system (the brake). During times of fight or flight, you need the sympathetic nervous system to change your physiology, so you can take action. You also need the parasympathetic nervous system to change your physiology, so you can benefit from deep rest and restoration. Unfortunately, many women’s adrenals are tasked with constantly producing the hormones that keep them amped up. Abnormal adrenaline and cortisol levels can result in mood disorders, sleep disturbances, reduced immunity, and changes in vital circulation. Because these side effects are not uncomfortable enough to be intolerable, a self-destructive, adrenal-depleting lifestyle often continues. Eventually, the adrenals become overtaxed and exhausted, and can’t keep up with the burden. Sound familiar? Women with adrenal exhaustion often complain of too many things to do and not enough time in which to do them. If you’ve got a lengthy to do list, make sure you’re avoiding this trap: the old “If I don’t do it, it won’t get done.” That’s a false sense of responsibility, and it also depletes your adrenals. I no longer resent my responsibilities. They are expanding my good in every phase of my world. My yoke is easy and my burdens are light. The same is true of perfectionism—having impossible standards for yourself. 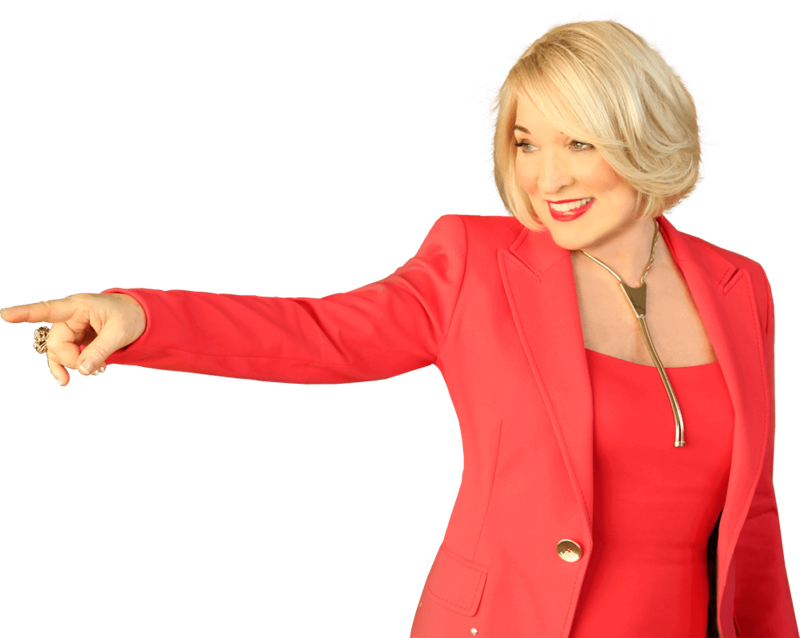 I suggest you check out the Fly Lady, who gives great tips for overcoming perfectionism and easing day-to-day responsibilities. For example, set a timer for 15 minutes per day to do burdensome tasks. You can do anything for 15 minutes. When Catherine Ponder talks about strength, she’s referring to emotional strength, too. Ponder explains that the adrenals react strongly to unhealthy mental and emotional conditions, such as jealousy, hate, fear, as well as struggles of success, power, or position. Strong emotions cause the adrenals to release extra reserves of stress hormones (adrenaline and cortisol). And, because the production of these hormones requires a lot of nutrients, including B vitamins and magnesium, excessive emotional demands will exhaust the adrenals. Your lower back can be affected, too. Adrenal exhaustion usually suggests that there are long-standing life problems in need of resolution. These issues will loom all the larger when seen with the no-nonsense mental clarity of perimenopause. Not only will adrenal exhaustion make the transition needlessly unpleasant, it also can deprive a woman of the resources she needs to address those issues and to take full advantage of the creative promise of the second half of her life. New strength is flowing freely to every part of my being now. I am renewed in spirit, soul, and body. If you persistently affirm the strength available to you and your adrenals, the power of your mind and body will be activated. Try it for 30 days. Then let me know your results and experiences by leaving me a message here or on my Facebook page. Are you a Christian? When we speak the Word of God and the revelation God gives us….yes we can see great changes in our lives. God Bless…thamkyou. I honestly don’t understand how affirmations help. When I speak them, my eyes roll and I feel incredibly irritated. It’s as though I’m minimizing my own feelings and refusing to acknowledge the discomfort I’m in. It doesn’t feel like self-love at all. The more I try to use affirmations, the worse and more depressed I feel. It reminds me of when I was in my late 20s and tried reading Dr. Wayne Dyer’s books on changing thoughts to change my reality. It put me into a horrible depression. Am I the only one who feels like affirmations are unkind? I think what’s more important is loving the parts of ourselves that hurt. I have learned that these other feelings of depression and discomfort are coming up for a good reason. They need to be tended to in order for us to be able to move forward. Hi Allison, I totally understand what you’re saying. For me it has always been that the affirmations I got given felt incredibly uncomfortable up to the moment I created my own affirmations! I love how you say ‘loving the parts of ourselves that hurt ‘ so true! Maybe that’s your affirmation? Have you ever heard of these symptoms as you described, being a side effect of an estrogen replacement therapy, namely, Vagifem? After a couple of months of using this, I became severely depressed(always had low grade depression), constant anxiety, panic attacks, frequent urination, unable to sleep. I am now recovering due to God in my life and of course I stopped the Vagifem. I have been following you on PBS, Hay House and I love your wisdom and advice. I am going through menopause and have read your book(The secret Pleasures of menopause). It has helped me understand the many changes that happens during this important transition in my life. I do not see it as a dis-ease anymore but more as a transformation of my life and letting go of burdens accumulated over the years-What a wonderful time in a woman’s life. I thought you and your readers might be interested in a dvd series called Quieting a noisy soul, by Jim Berg. There is also a book called God is more than enough by the same author. May we turn to God in our time of need and rest in His promises and presence with us. Thank you, Dr. Northrup. Every morning I check your inspiration quote. As I returned to Louisiana and weathered the hurricane, new energy has been flowing thru me, even though I did not recognize it most of the time in that hectic month of new jobs. I pray the energy around and within me to guide me and take over, so I will be rested, at peace, and aware of the presence. Thanks again. Look forward reading tomorrow. Roberta’s comment compelled me to write. I recently had endometrial ablation (June 6) and have had significant problems since. I have adenomyosis, which may mean I could be cornered into a hysterectomy. These risks were not discussed with me prior to the surgery and there is very little information about them (no mention in Mayo Clinic, Webmed etc). I think ablation is being pushed by some gyns without the proper checks or trying other non-surgical options first (eg hormones). You are the only person I know to turn to for proper advice. I have read your book, Women’s Bodies, Women’s Wisdom and other material, and I have been unable to find any information regarding Post-Ablation Syndrome which I have been diagnosed with. My only option right now is a hysterectomy I’m told, and I’m very worried. Could you please write something about this “new” syndrome that is emerging? I think many women out there need your help on this one as soon as possible! i am excited to try this prayer, i enjoy reading your advice and am willing to give this a chance as i know i am being guided well. I love your comments here! The truth is that when we bring LIGHT and LOVE into our adrenals– and ALL of our endocrine organs, we are supplying ourselves from the inexhaustible FORCE of the SOURCE energy. Here’s a prayer that I suggest to everyone. And I do it myself. “Divine Beloved, please change me into someone who is rested and who knows how to receive and be at peace.” Try this for 21 days. You’ll be amazed with the results. And this will help you in finding the right medical care too! Thank you all so much. After years of anxiety, stressful fertility treatments and PND my adrenals decided to go walk about. Lisa thanks for your exercise and with renewed faith and trust in my body i hope to be fit and strong for the next 50 years. God smiles when we hear and I just got the message loud and strong. I feel like I have just found a new friend in this website!! Thank you for your reply Dr. Northrup, I cannot tell you how much it meant to me. I also started reading Women’s Bodies, Women’s Wisdom and with each passage learning to release and feel a layer of buried emotion to welcome in that Divine Love! Thank you, thank you, thank you! Love your timeliness & affirmations Dr. Northup! 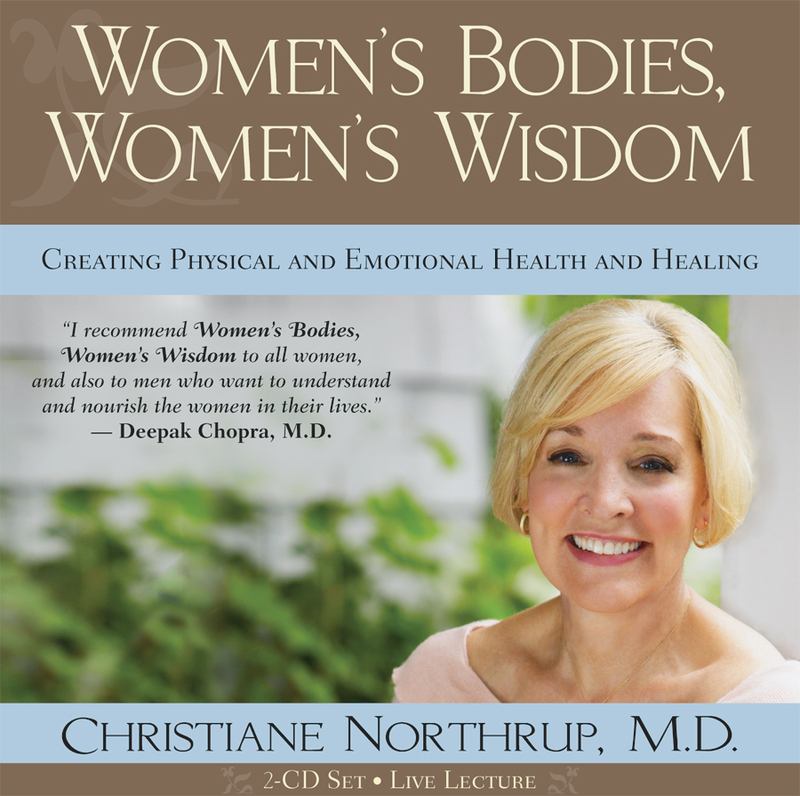 What a great reminder to re-read your book section on menopause & adrenal function! Ditto the comments of Julie on 8/8, except I’m 50, going thru the same rollercoaster & want to better understand the link between ADD (my long standing life problem), adrenal exhaustion and menopause. There must be a direct connection as all 3 have progressively gotten worse in the past few years. Thanks again for ALL you’re doing to help us in our mid-lives! This is a great post. Very relevant for my life right now, too. I imagine that is the case with a lot of us these days with heavy workloads and extra stress. Thanks for all the work you do! I am an avid Yoga student and love my walks. About 5 years ago I quit my JOB because I had the fight or flight symptoms and thought I was having a heart attack. After 5 years of taking care of myself, eating healthy whole, REAL foods and losing 32 pounds, I am ready to go back to work part time. My Yoga teacher shared this website (www.yogahealer.com ) It contains a free download for a program that deals with this topic. Check it out. Hi! Martine—beautiful beautiful affirmation there! Lisa—that’s a great exercise. Thanks so much. 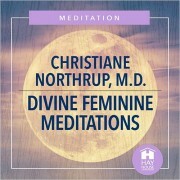 Stephanie—allow Divine Love to pour into you. It’s the beginning of health on ALL levels. And of course, cut out sugar (darn, eh?). Lovely, lovely comments. Thank you all!! just what i needed- it s such a shame you are so far away. ( i live in austria) i would love to come and see you Dr.Northrup. I got your book from a friend in Croatia- and i bot it for another 5 friends, who the bot it for another friends. This is how our Northrup chain started. and all the women that were, are, and will come! “These issues will loom all the larger when seen with the no-nonsense mental clarity of perimenopause.” I will try and thank you… to me it seem more like a melt down. Back aches and I fell ugly… but i realize there are woman like you that honestly care.. again thank you the process is not a easy one.. Yes, my adrenals are probably blown. In Febraury of this year I was diagnosed with breast cancer. On top of that stress, my hospital is denying $30,000 worth of radiation therapy saying it wasn’t medically necessary and not the appropriate level of care for my condition (seriously?). Having a very difficult time dealing. 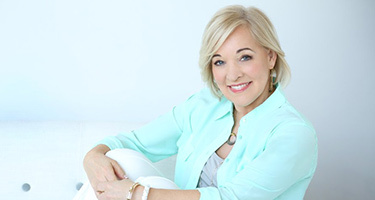 I suffered from extreme adrenal exhaustion during perimenopause. No sleep, overactive bladder, anxiety, I felt like an engine that was revving too high. Yoga and meditation saved me! Just wrote the affirmations… Waiting for my flight to London and my adrenals have been over-working for a week! This will help, thank you!!! As it is summer in USA, will pass on advice from Dr Cushing in USA. Sun on your adrenals for 15 mins a day, will naturally help rejuvenate your adrenal glands. Do not do this during the hottest part of the day. Natural Calm Magnesium with Calcium in powder form is well absorbed. I had a reading with a medium who warned me of adrenal fatigue. I didn’t know what it was, but I was tired and feeling stress from a hard work contract and a child with autism. Shortly after, my routine bloodwork showed thryoid and triglyceride problems, even though I was exercising. I no longer accept that level of stress. And thanks to the other side for the message! My adrenals have been shut down for several years, so am glad to be reminded of the affirmation treatment. Great article Christiane. I know my sister is on the brink of adrenal disaster and nothing I say seems to convince her that she doesn’t HAVE to do the things she does. I’ve also noticed that even when she has things to do, they are somehow extended to take up her whole day. I’ve read several of Catherine Ponders’ book but have yet to read The Healing Secrets of the Ages. I’m sure I’ll enjoy it just as much as I’ve enjoyed her books on prosperity. Believing in you’re own power to heal and to create what you want and need in life is expressed in all her work. She certainly became a powerful woman herself and a great example to others. Thank you for featuring this book. I believe in the perfect timing of the universe! 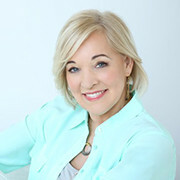 Thank you Dr. Northrup for this reminder to nourish ourselves and be conscious to the ‘longstanding life problems in need of resolution.” At 75 I am now making plans for my next 25 years and am dedicated to being conscious and in the moment for what my heart is saying and what is good for me so that I can be of service to fullfill my destiny doing what I love and shining my love and light on other receptive beings. just what I needed to read today! Thank you so much for sharing this with us! Thank you Dr Northrup for another great blog. I am 50 and in the throes of both the mental clarity and emotional ups and downs of peri menopause. I have had high blood pressure which was put down to stress. Are there links between adrenal exhaustion and high blood pressure? I love this article. I have been taking a supplement by Jarrow Formulas called Adrenal Optimizer. Yoga and walking in nature make me feel connected. In NYC it’s central park and the river. Crowded streets of the city do not help my adrenals. Being at the beach is also great. Exactly what I needed to hear right now. Thank you! Thank you. I’ve been looking for positive affirmations. I’ve been trying to get pregnant for 10 years. Can my adrenals be at the root of the infertility? It’s amazing how exhausted our adrenals are – most women are on overdrive. A simple energy med exercise can be very helpful – if it is painful to touch you know your adrenals are depleted. Go one inch above belly button and one inch over on each side. Rub – you will know by how this feels if your adrenals are on overdrive. Rub the same spots in your back also. Do this a few times a day until you notice a difference! This is exactly what I needed to see. Does adrenal fatigue play a role in significant anemia and fatigue? Thank you for the beautiful affirmations.